Zaya Great flavours. Great aromas. Easy smooth sipper. Recommended to anyone. My favorite By far my favorite rum. Best enjoyed poured over ice and slowly sipped. Full of flavour and so smooth. It's good. 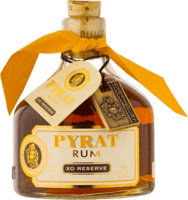 This is a good rum. I see lots of bad reviews, but for a 15yr rum this is nice. Drink it straight, mix it. Sip it. It works for everything. Great for the price A really tasty slow sipper for a small price tag. Not the smoothest. Surprisingly good Thought this would be just another Bacardi gimmick.Actually really sweet, not too much vanilla, and didn't taste of Booze like most bacardi products. Christmas A bit overrated I think, but I know lots of people that love it. Does have good flavours just not great. Add it to your eggnog to bring out its best. Best of the Bacardis Definitely not a top shelf rum, but every once in a while a nice amber rum and coke is just what the doctor ordered and this makes a tasty one. Cheap and mix worthy Looks good. Smells good. Have only mixed it, but it sure worked in eggnog. Tasted super sweet with ginger too. To the captain It's a party rum and great to have on hand. Mixes well with anything. Just don't mistake this for a GOOD rum. It's bacardi white Bacardi clear rum. It's in the cabinet for daiquiri's and Pina coladas which it does a great job of. Ugggh I like coconut. I love Pina coladas. But there is something about this rum that does not agree with me.